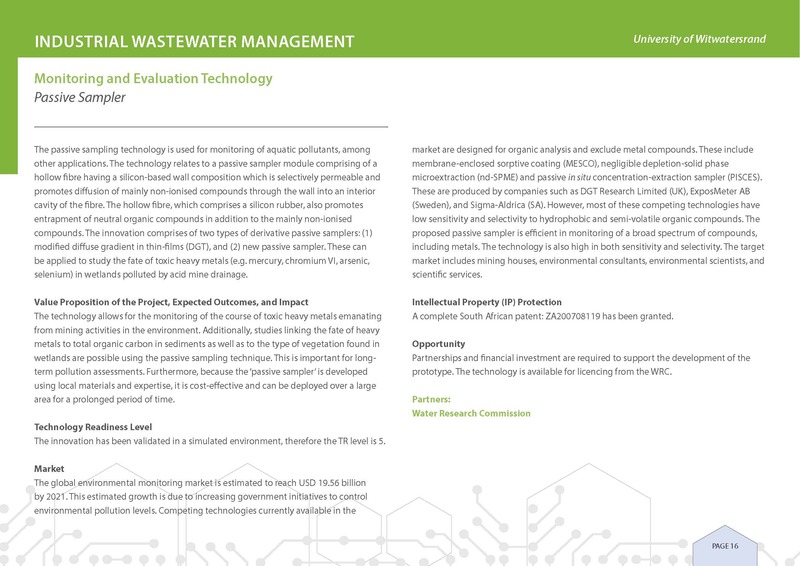 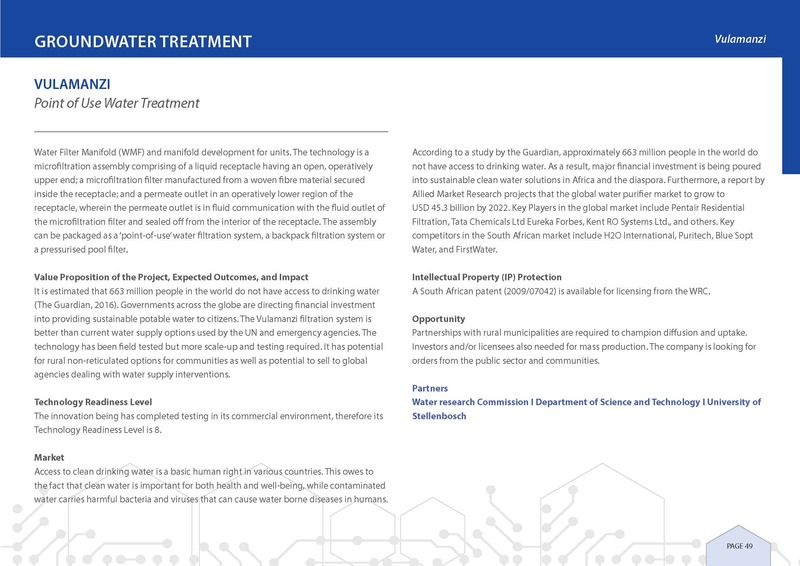 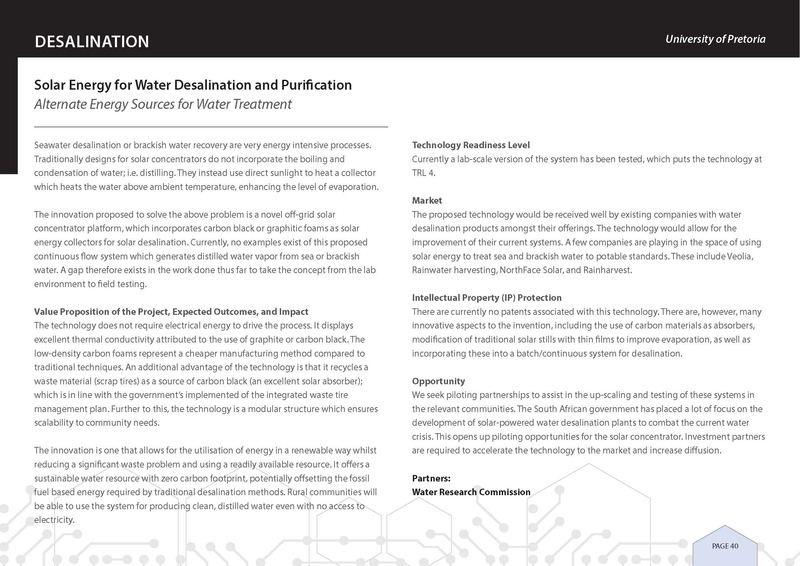 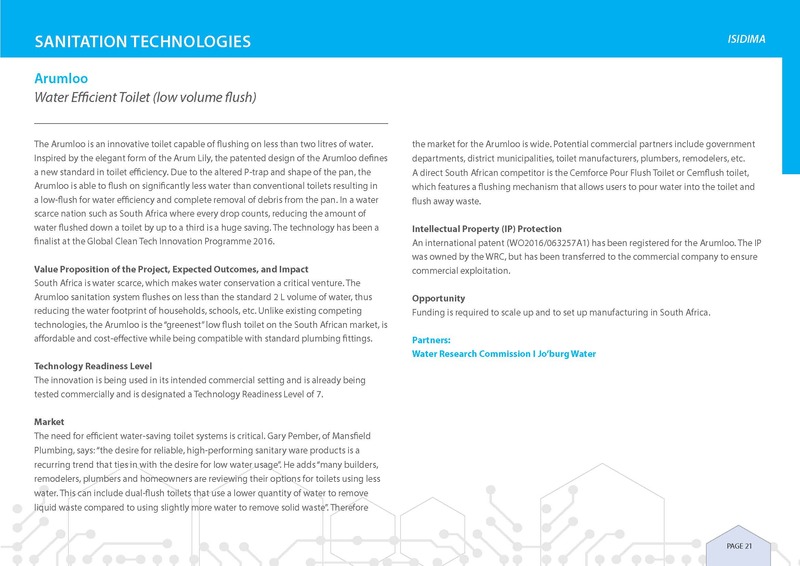 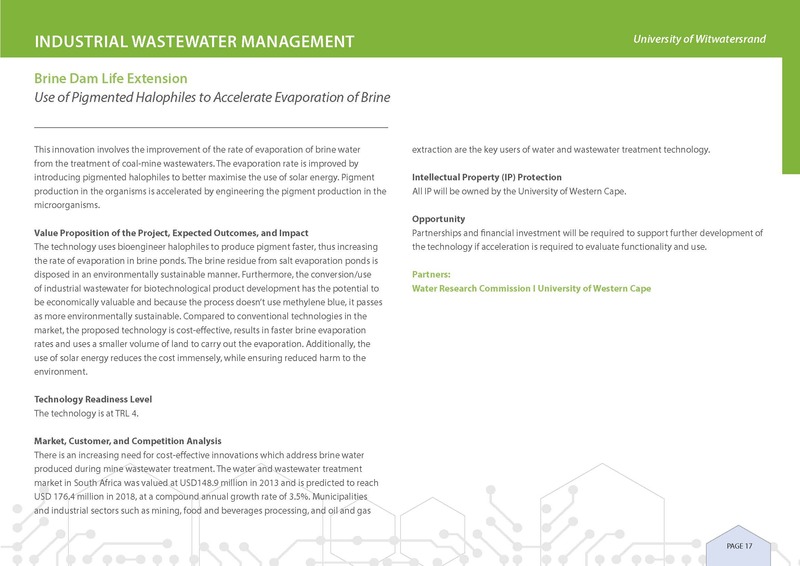 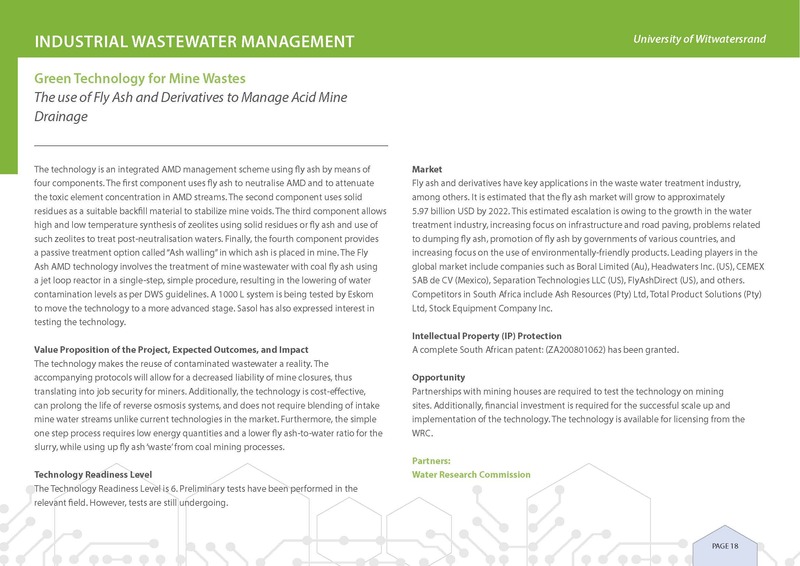 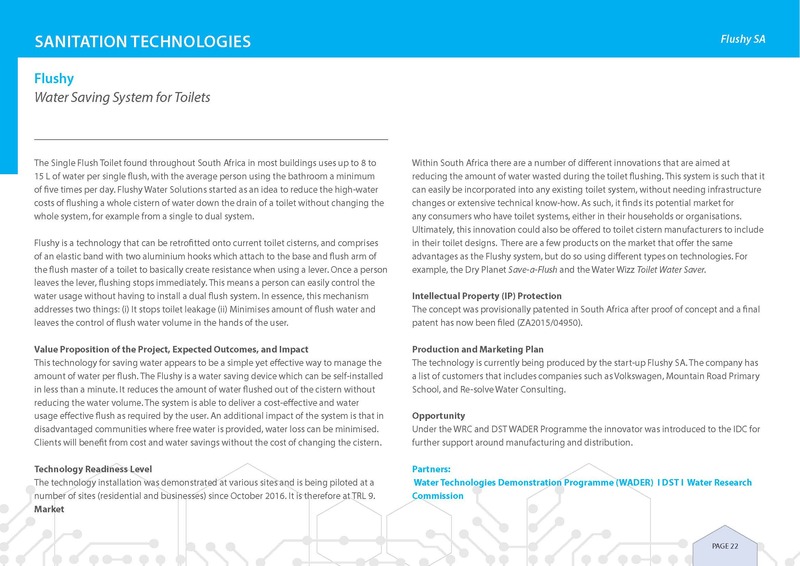 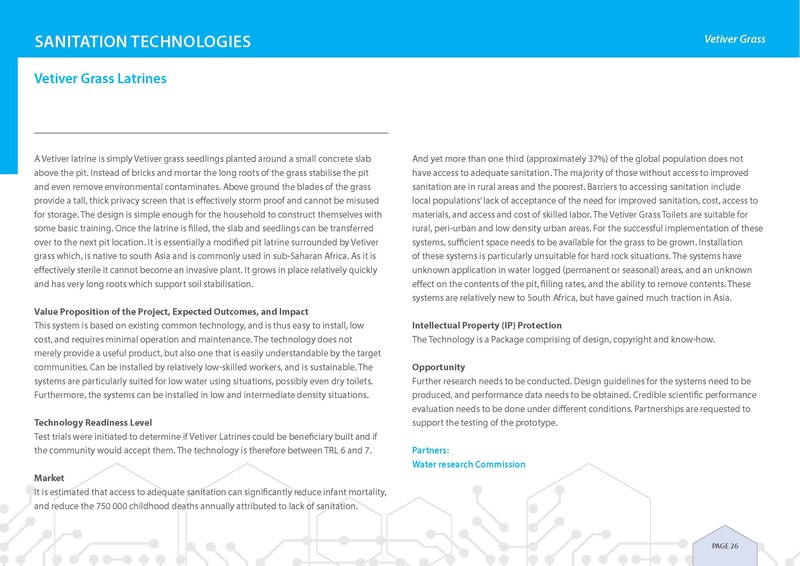 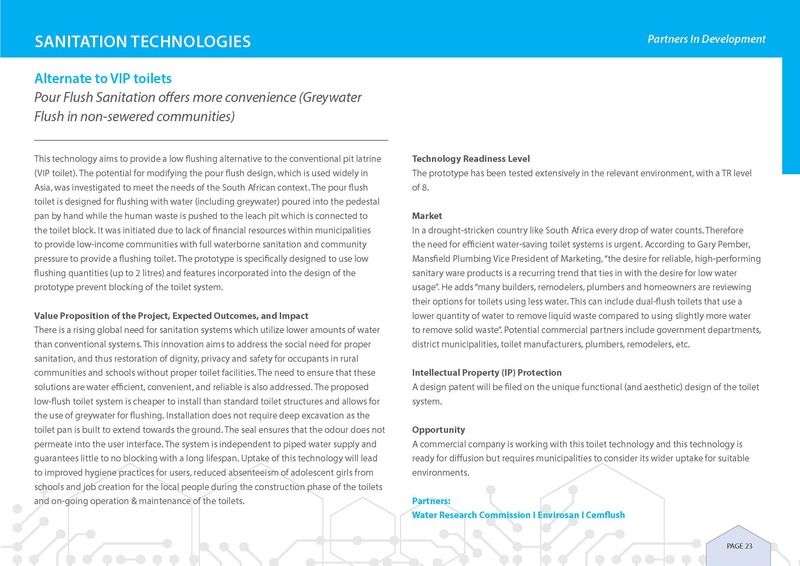 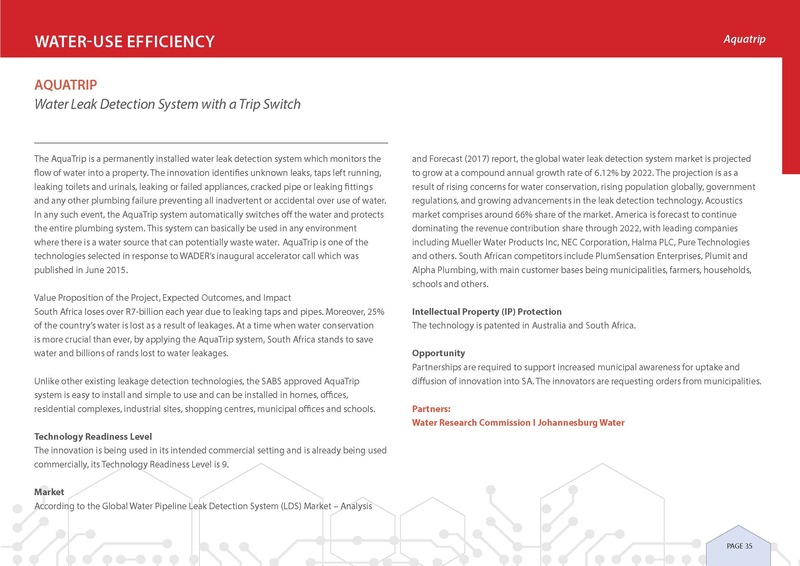 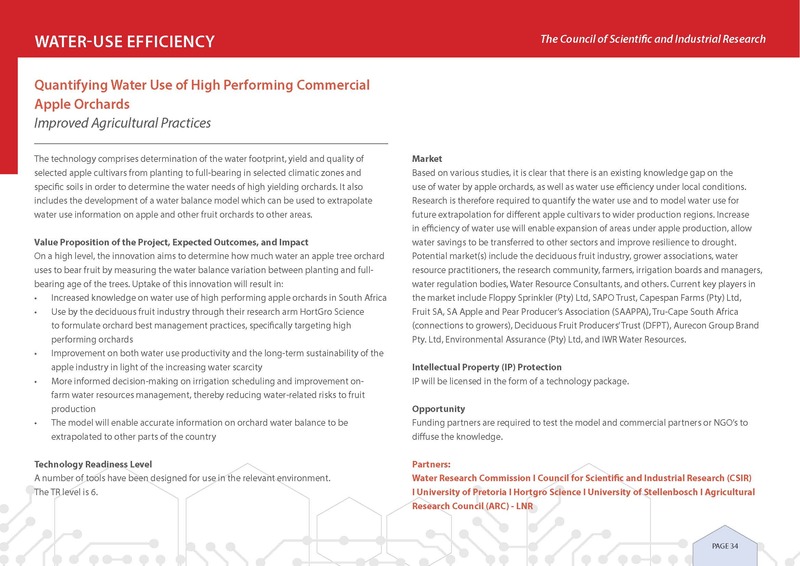 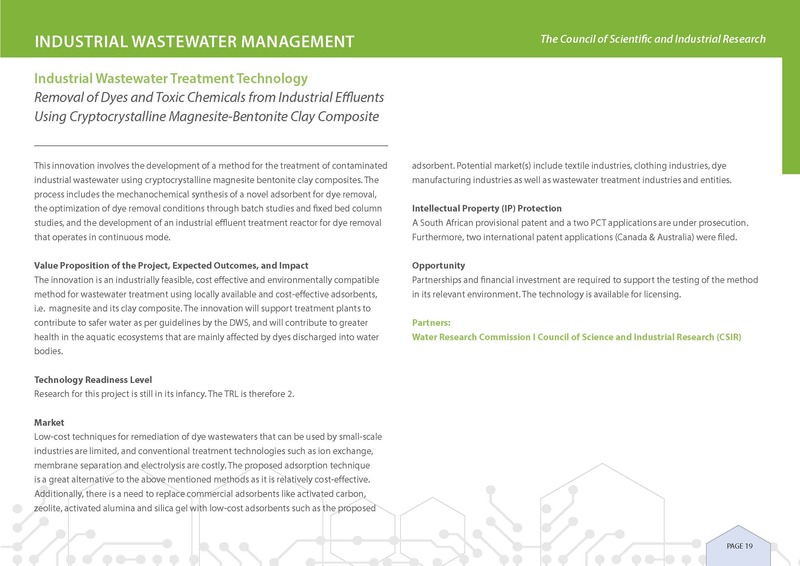 This prospectus aims to showcase a selected number of innovations produced in the water and sanitation sector. 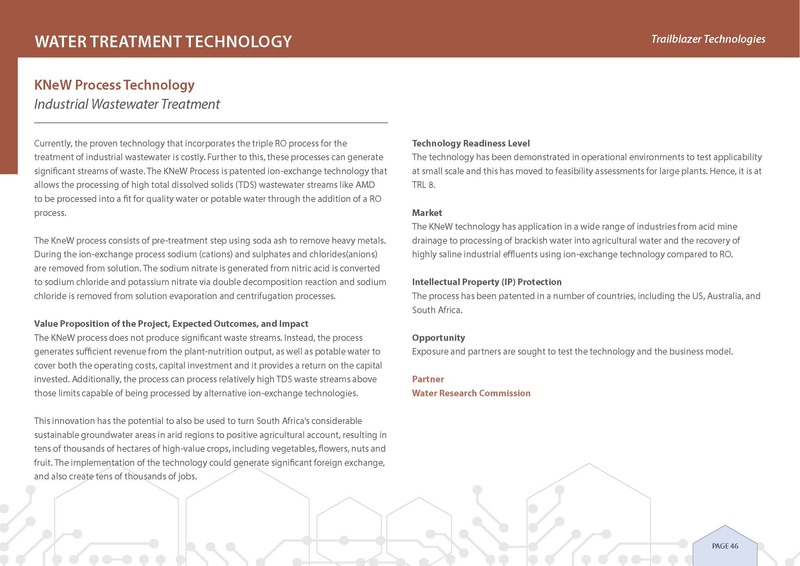 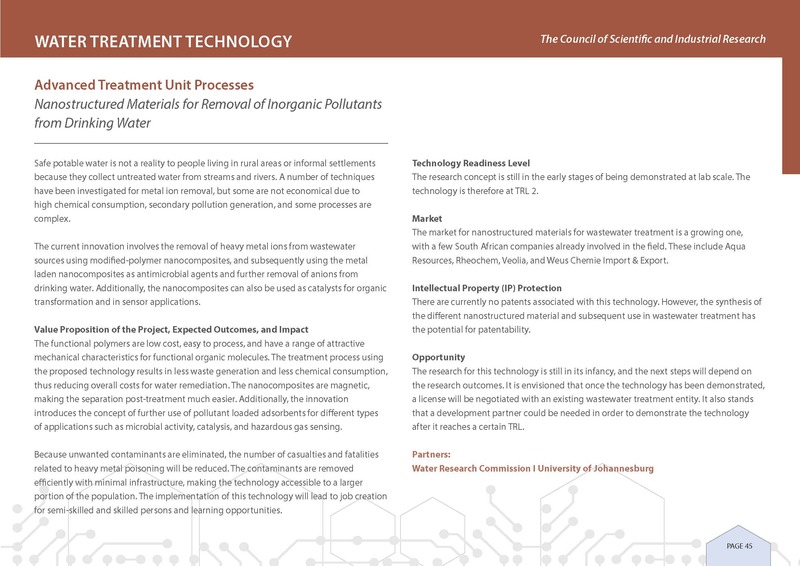 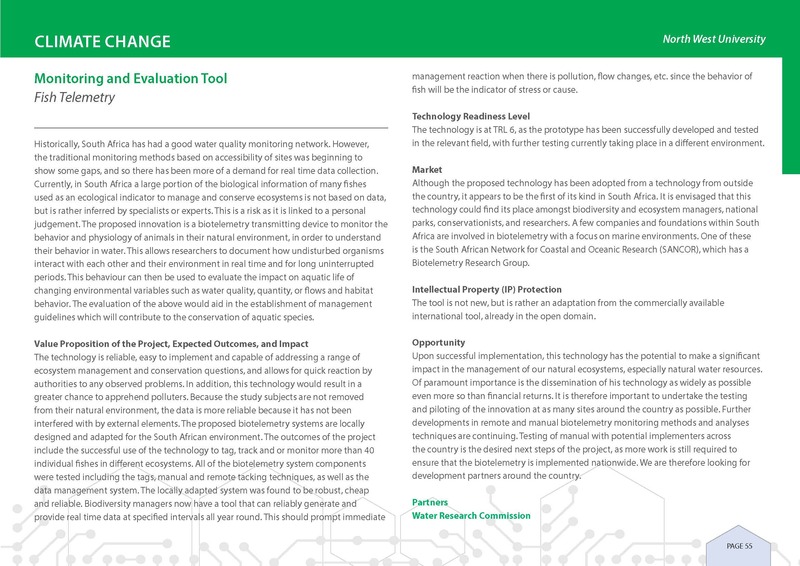 It largely focuses on public sector funded research and development (R&D) that has resulted in innovations that, if translated into commercial value, can result in both the enhancement of competitive edge of established and emerging enterprises that offer either services or technologies that improve the lives of people and the environment. 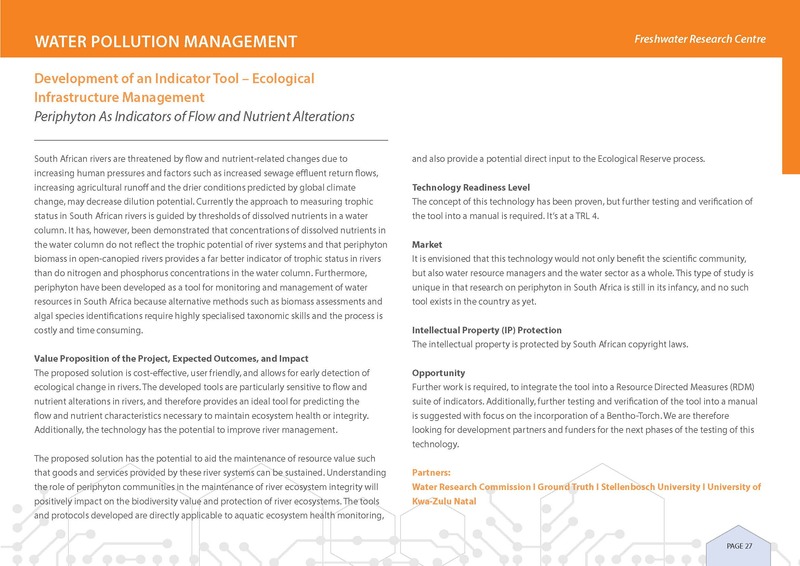 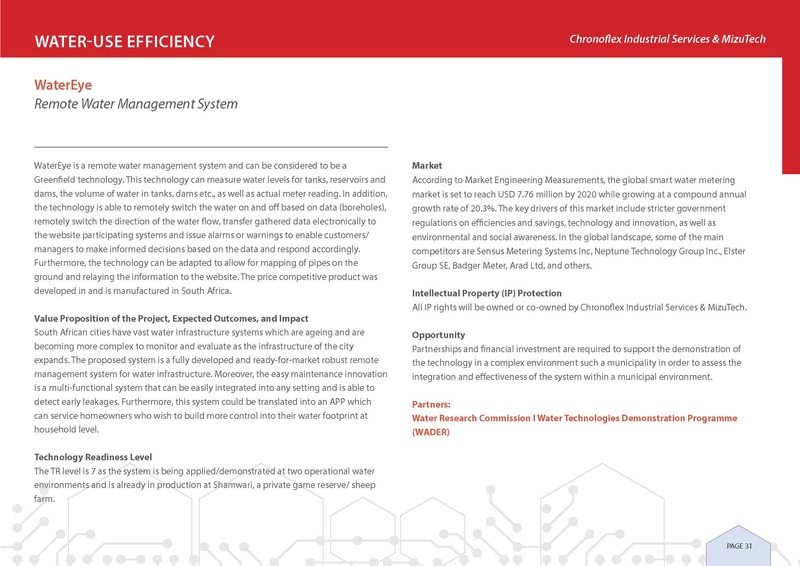 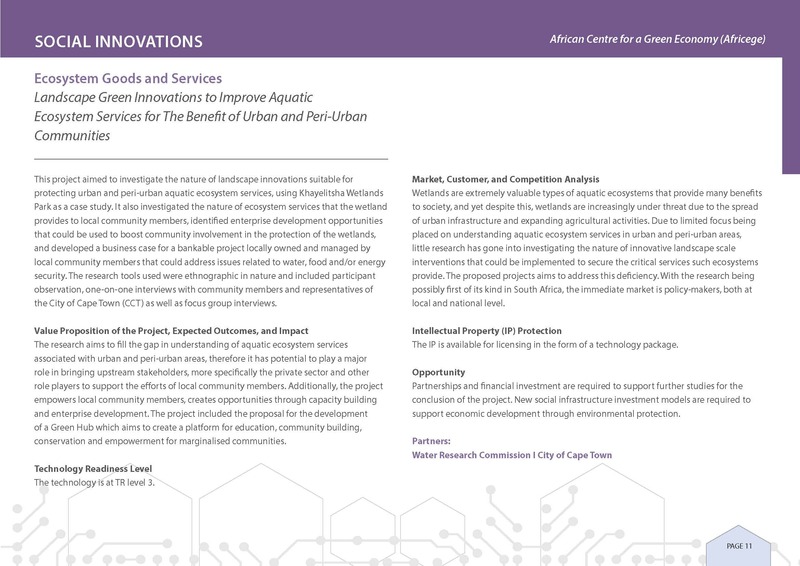 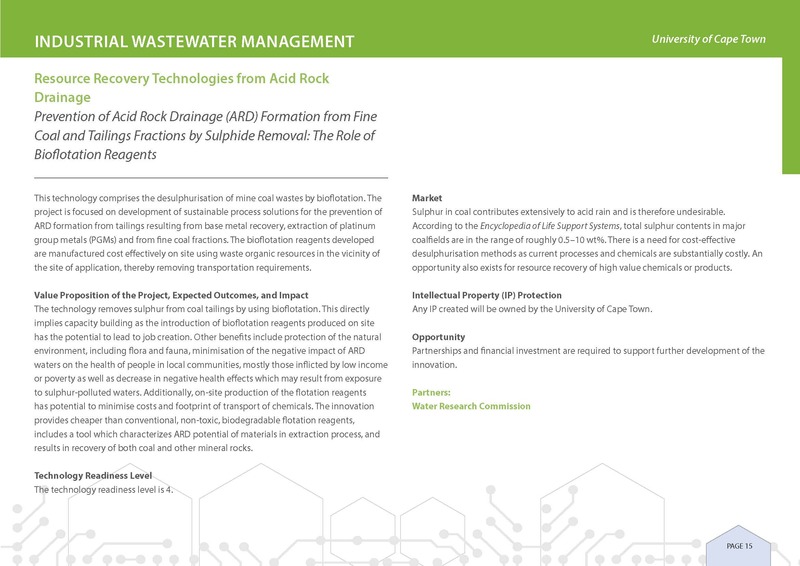 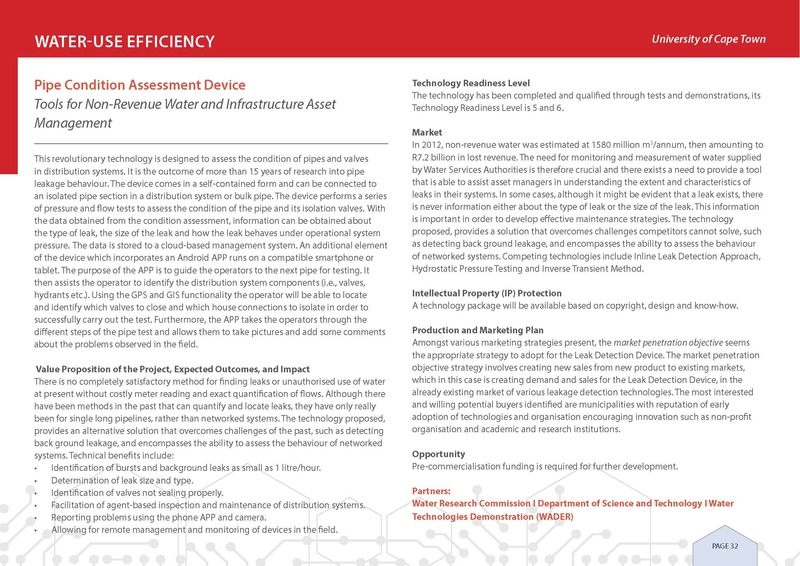 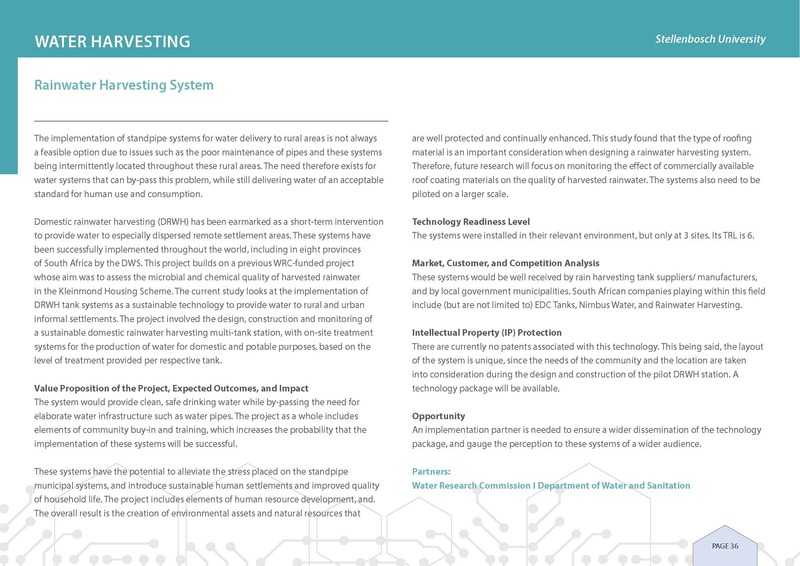 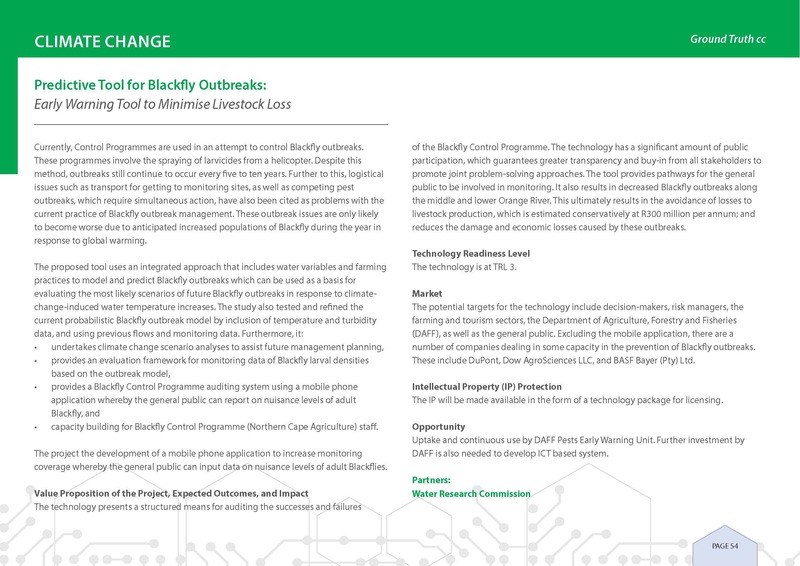 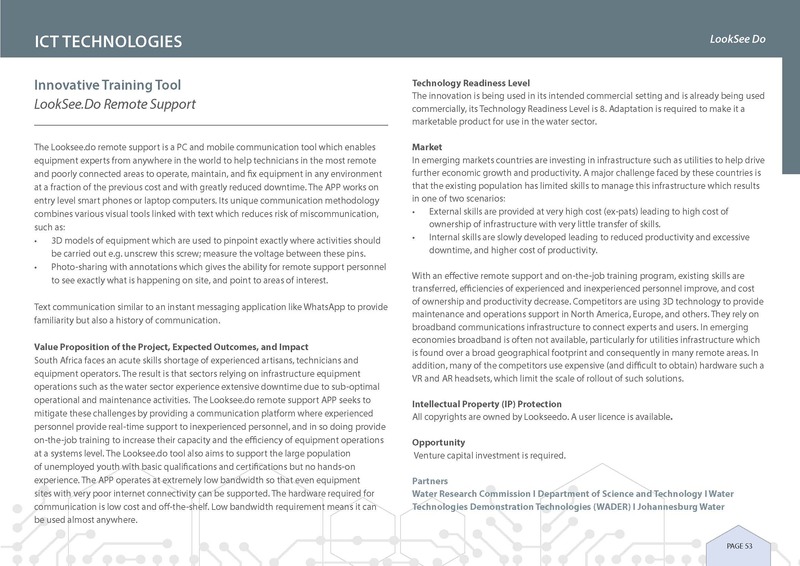 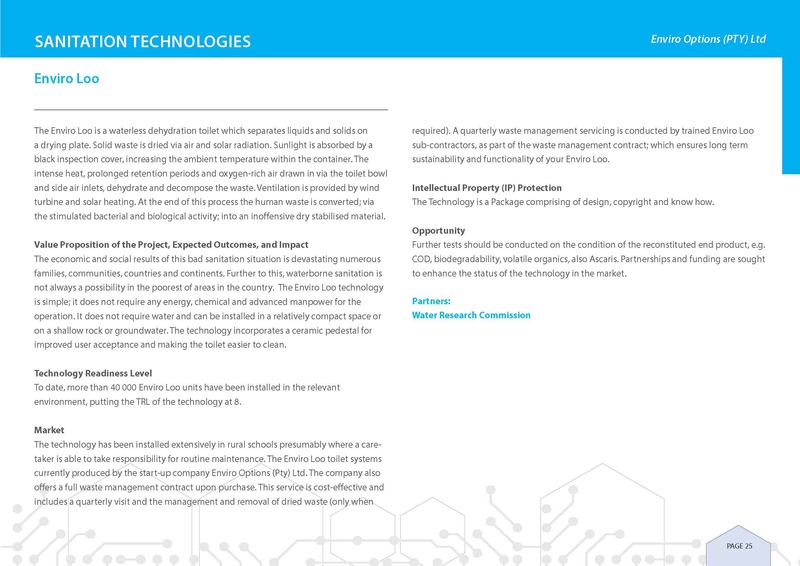 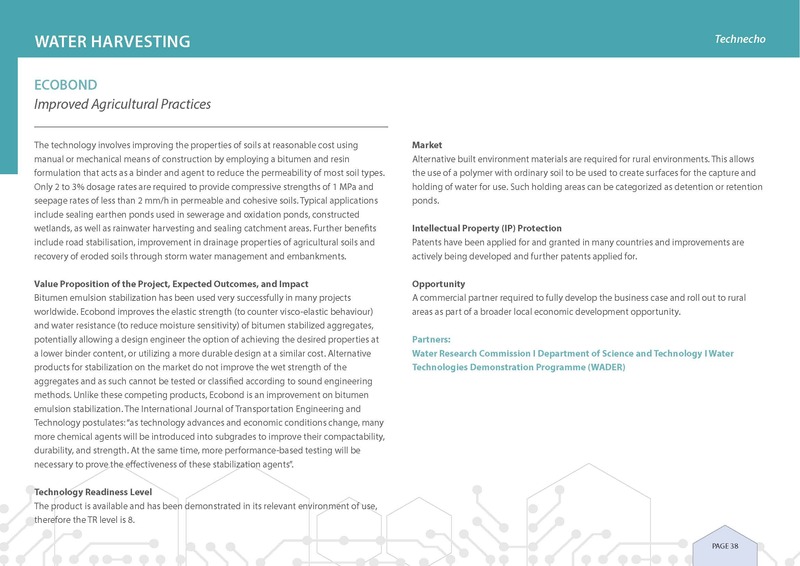 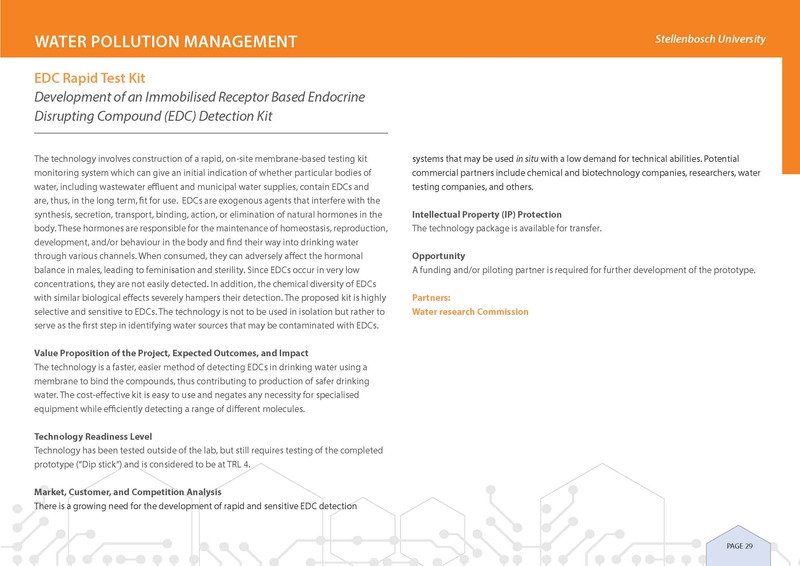 This prospectus also gives and includes a selected overview of some innovations developed by the private sector and independent innovators that can also contribute to a growing list of solutions. 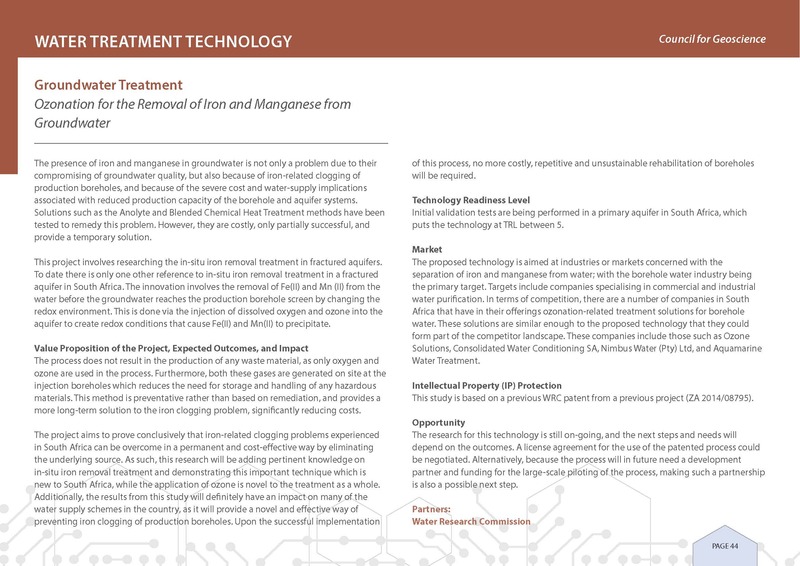 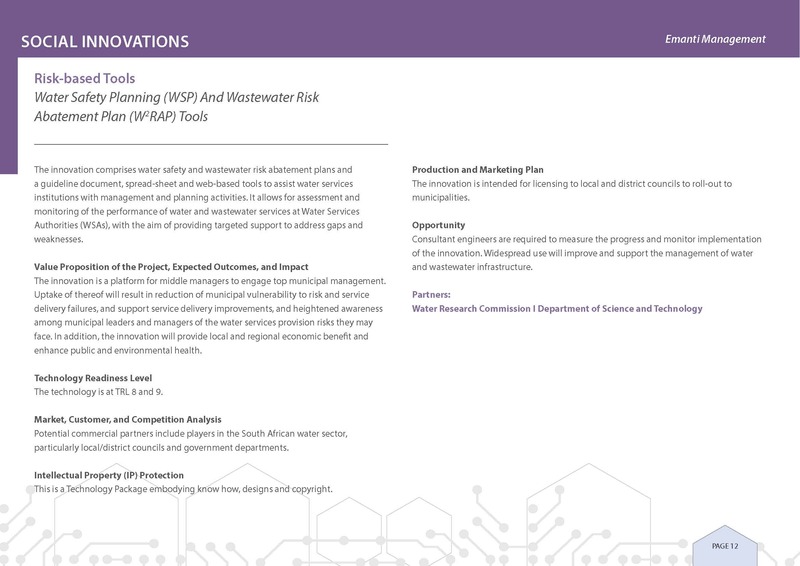 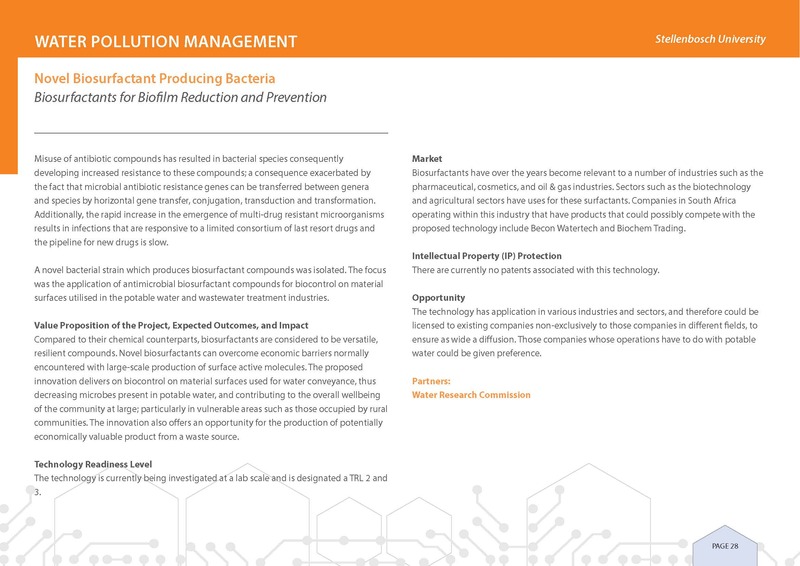 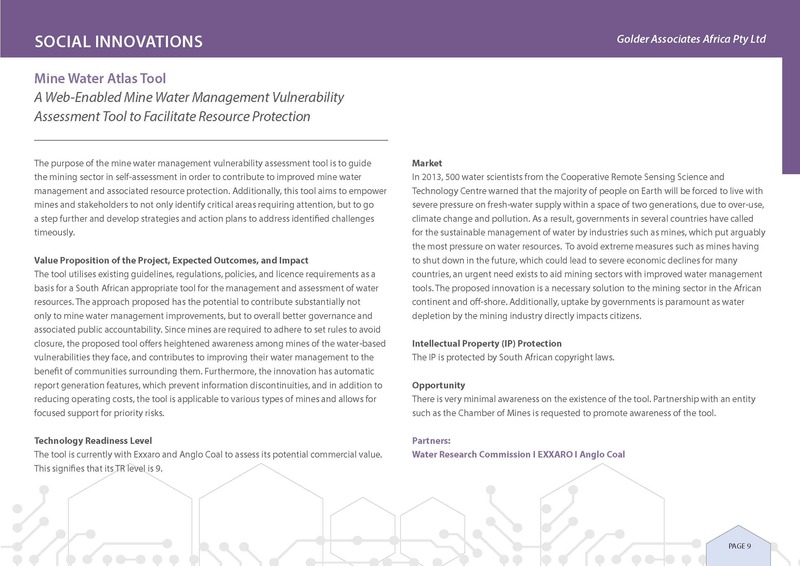 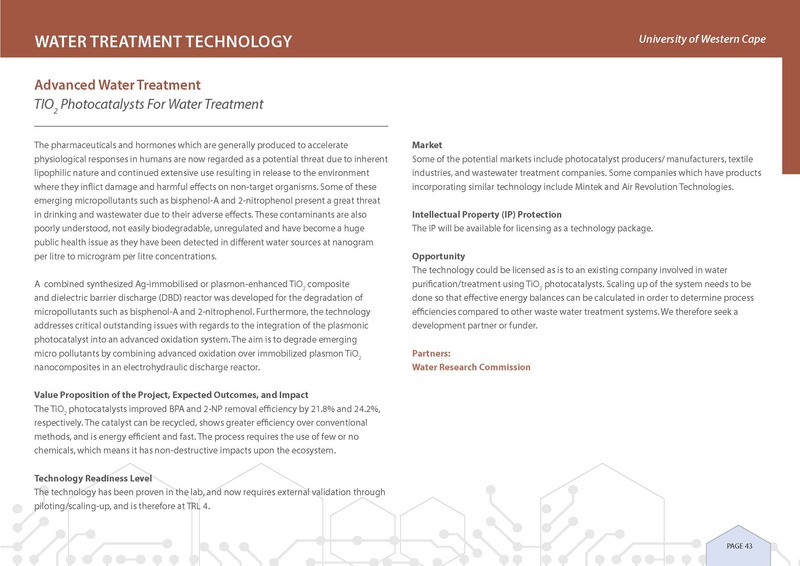 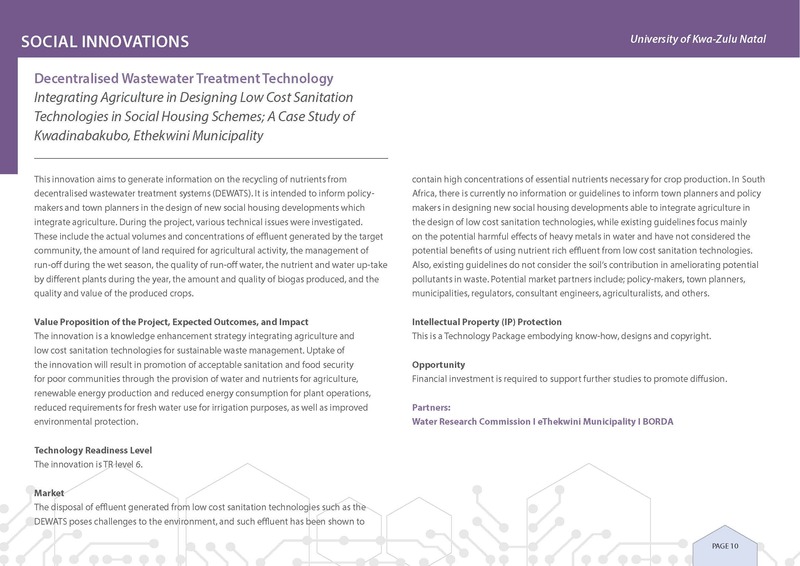 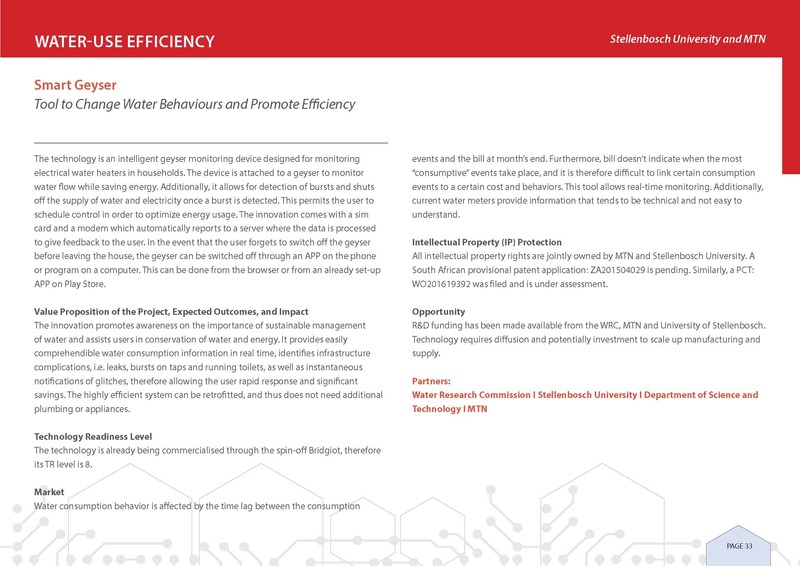 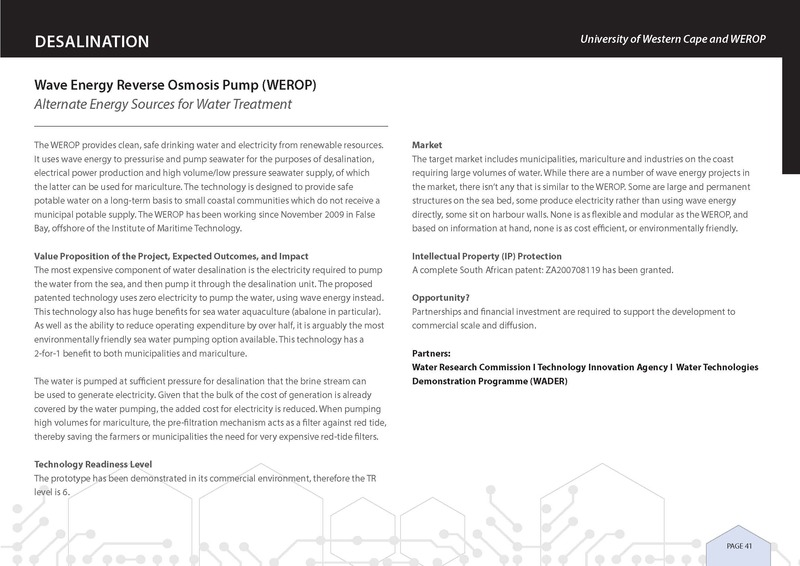 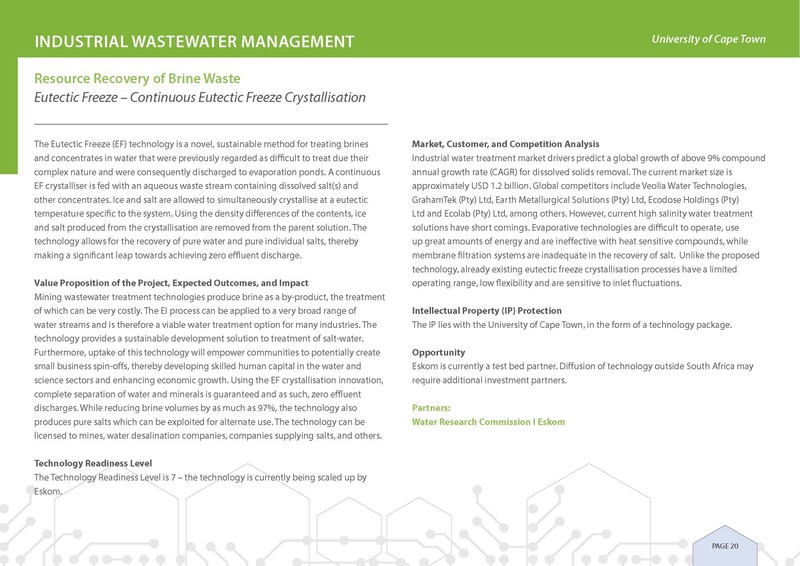 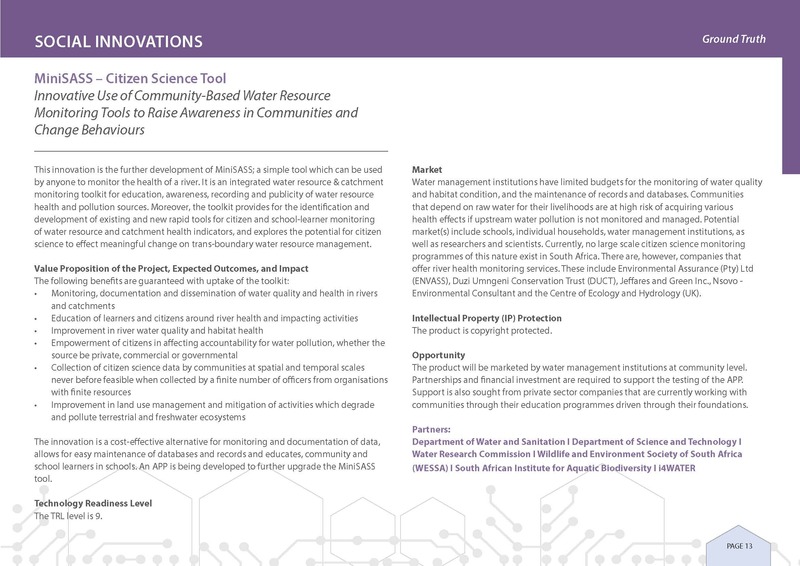 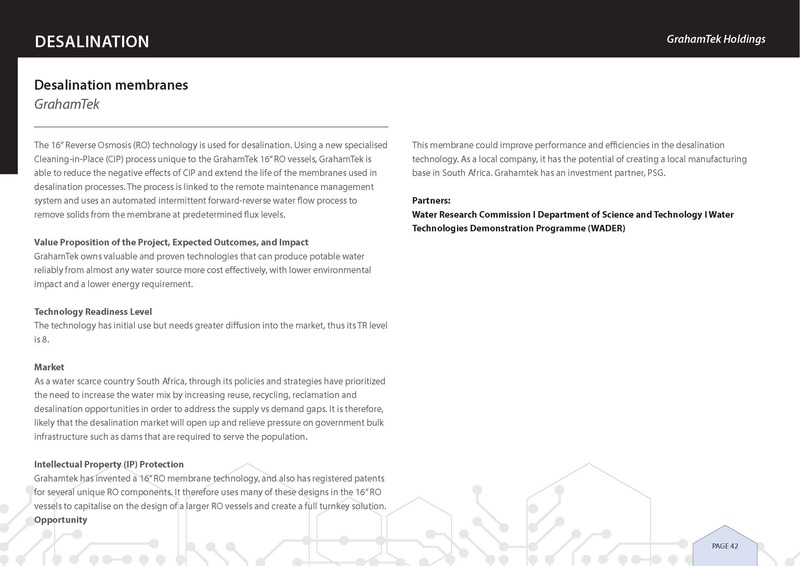 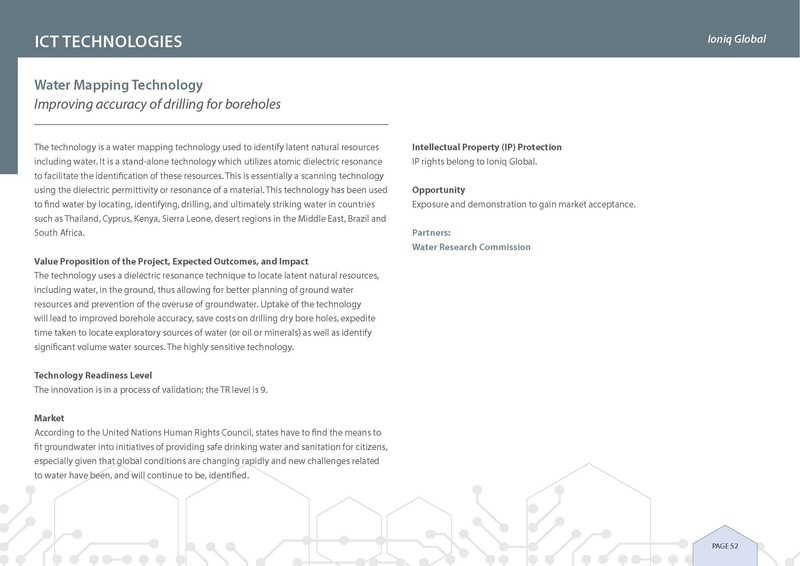 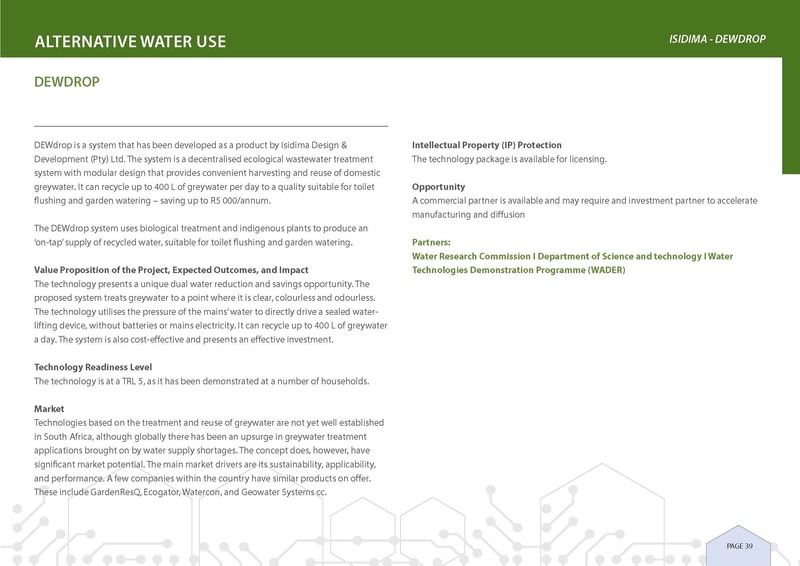 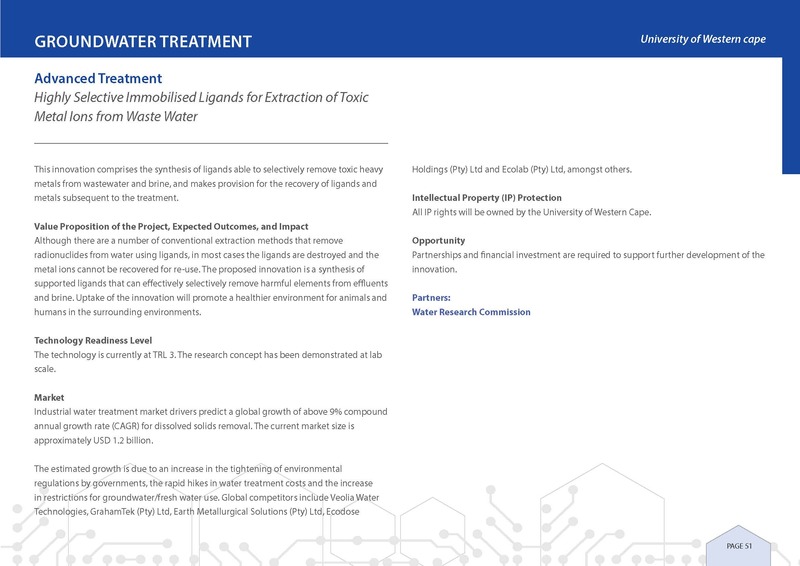 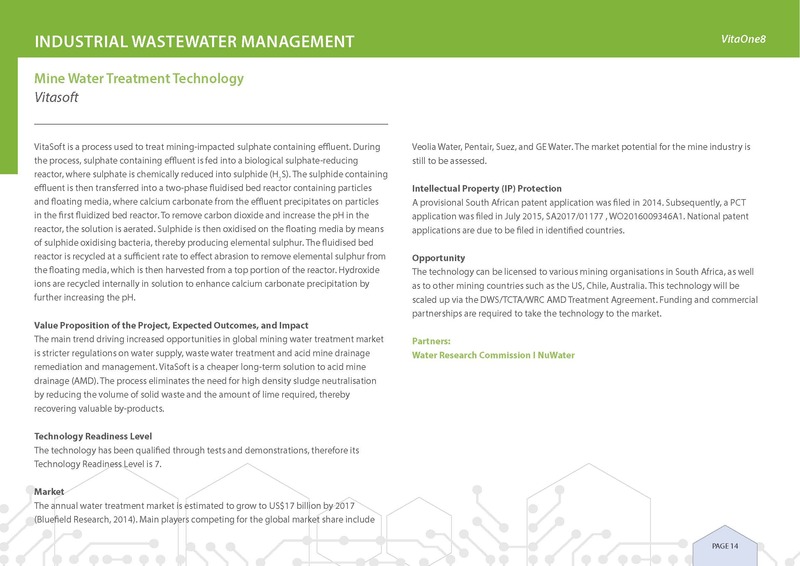 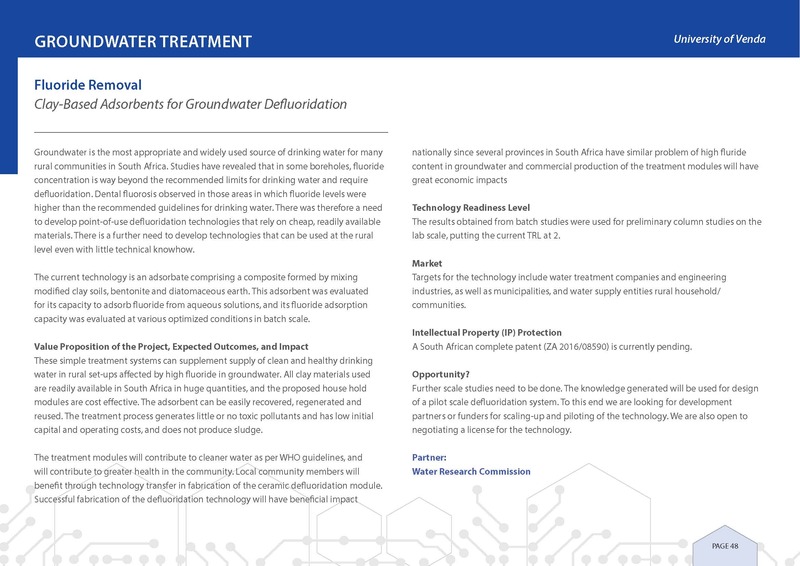 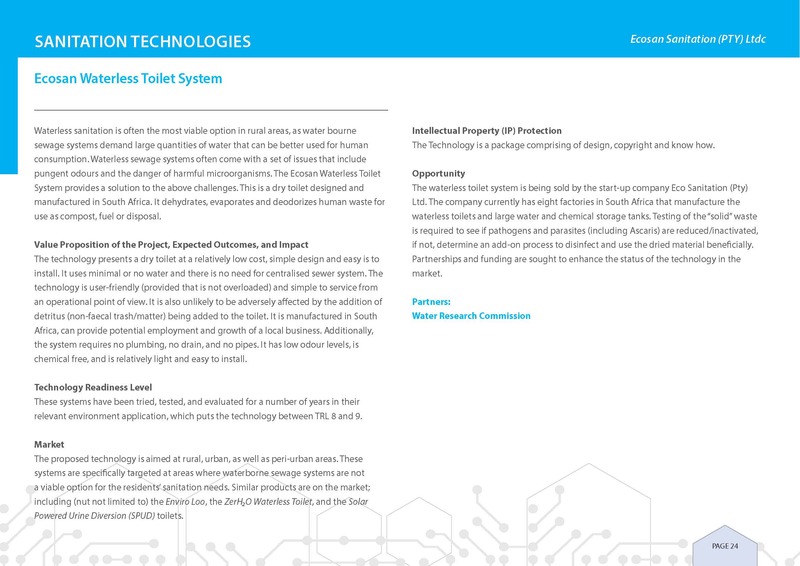 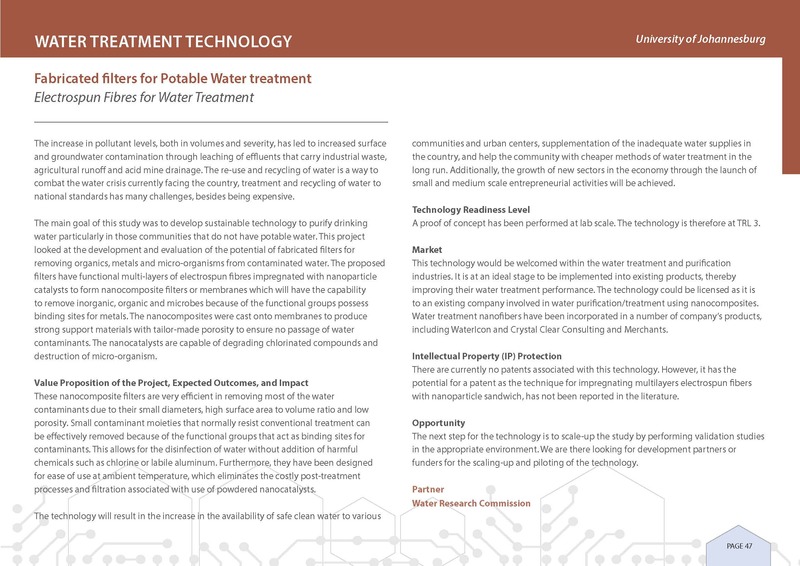 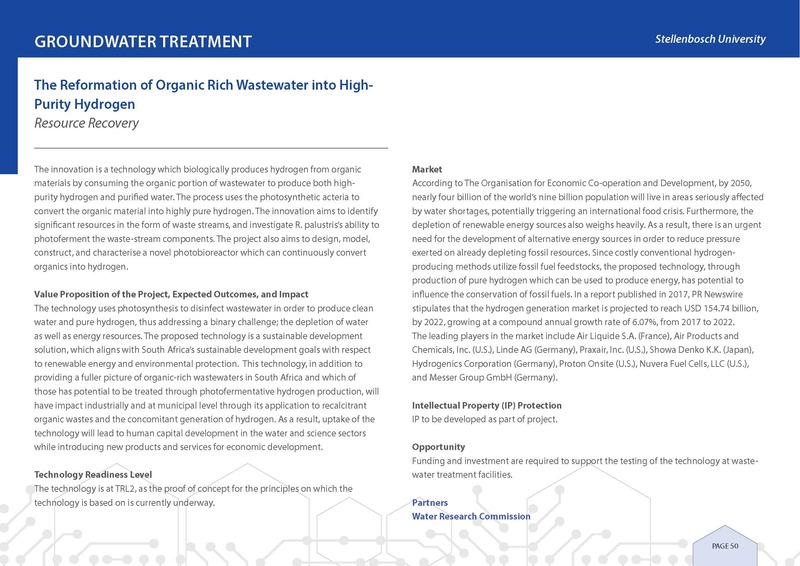 The Water and Sanitation Innovations Prospectus will be updated periodically and will offer investors insights and opportunities into a range of water and sanitation appropriate technologies. 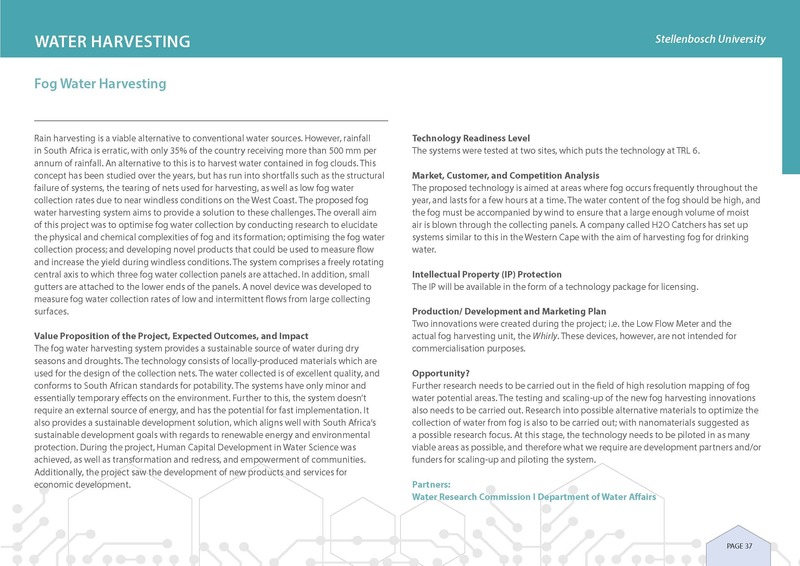 The prospectus will also aim to take funding partners and investors on a journey to close the innovation ecosystem gaps as we strengthen support for investment and partnership in innovations.